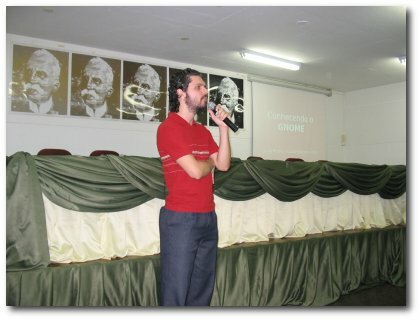 Yesterday, I gave a talk about the GNOME project for grad students from Ruy Barbosa Computing Science Faculty. Sandro, a great friend of mine, was the host teacher. 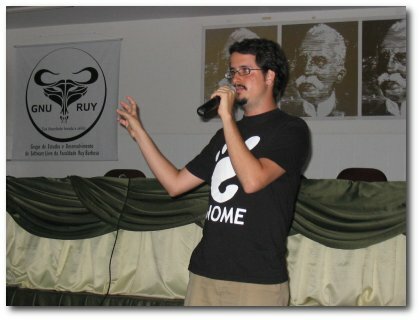 This talk is part of a series of free software activities organized by GNU Ruy, the Ruy Barbosa’s free software group. 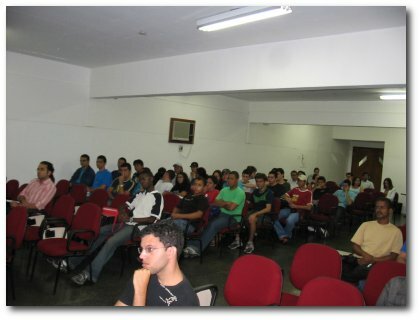 Some students got very interested in contributing to the project (I’ve received e-mails at the same day). I’m very happy to know that some of the people who have contacted to get help on their first steps inside GNOME have already started to give their first contributions. I’ve known of at least three people that have already sent their first patches (some of them accepted!) and other three that are now part of the brazilian l10n team. Yay!